Purposefully engineered for its fast and stable 27.5 wheels, this superlight frame is built to hammer up climbs and rail through corners with blazing XC speed. Made with Advanced-grade composite, it’s the perfect balance of speed and control. The Overdrive steerer tube combined with a 100mm suspension fork delivers flawless front end handling on rougher trails. The MegaDrive downtube and PowerCore bottom bracket work together to give you a responsive and efficient chassis that makes the most of your power. And details including the integrated seatpost clamp and internal cable routing put the finishing touches on this race-ready XC ripper. BMC puts out their Sportelite APS Deore Bike as a gateway drug. They’ve built this entry-level full-suspension has the same rear-end design as their Fourstroke, Speedfox, and Trailfox platforms. It’s their Advanced Pivot System (APS) with 100mm of travel. And it’s combined with a 100mm suspension upfront and 650b wheels. The wheels are smaller than you’ll find on most of the BMC line for a reason. They fear 29er wheels might be a bit intimidating for new mountain bikers. It’s easier to feel in control and on top of the bike with the smaller wheels and that’s what they want you to sense. 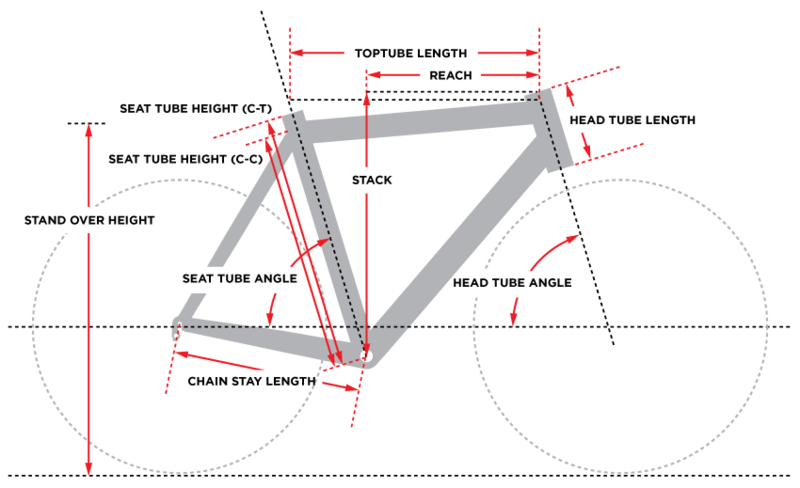 The frame is welded and formed aluminum, both for the front and rear triangles. Light, durable, and inexpensive to fabricate. The fork is the RockShox Recon, a 32mm-stanchioned bump controller with both lockout and external rebound controls. It accepts traditional quick-release front wheels. For that matter, so does the rear end. Most of the component spec comes from Shimano. A XT rear derailleur is the high-zoot offering, while the less-expensive Deore is pretty much everywhere else. That includes the 38/24 double-ring crank, the front derailleur, the shifters, and the 11-36 ten-speed cassette. Deore hydraulic brakes stop 160mm rotors. The wheels are built by BMC, with Deore hubs and Alex 32-hole rims. The Alex MD19 is both eyeleted and double-walled for maximum pounding resistance. They’re built for abuse, for the kind of people who don’t necessarily know how to ride over rocks and roots and rubble. The rims are covered in Continental Tires, with the Race King up front, X-King Performance in the rear, both 2.2” wide. When you’re looking for your first full-suspension mountain bike, take advantage of the fact BMC wants you to get hooked. This Sportelite APS Deore Bike has the manners of a carbon-fiber full-suspension XC race rig for a song. When you want all the performance of an elite World Cup-worthy soft tail frame, but aren’t quite ready to commit to the price, the BMC Teamelite 01 XT Bike is the ride that serves your purposes. It shares the frame the BMC team rides, with a carefully-curated selection of parts that keep both the weight and cost down. The frame you should know by now. It’s at the front and off the front of the world’s toughest races. It’s a 29er that climbs nimbly, darts through singletrack, and descends with confidence. All that was fine. But the team found they wanted a little more vertical compliance for rocky, rooty stuff. They wanted the rear end softened so they could run a bit higher tire pressure to roll better over the rough stuff, and when the trail smoothes out. So the BMC engineers went to work. In two weeks, they delivered a prototype to the squad. The riders tested it out, gave their feedback, which led to further refinements. Which lead to what you see here. They kept the geometry the same. Sort of: The small, medium, and large are the same, but an extra small and extra large were added. And there’s more, they kept most of the frame the same, with one major deviation. The way the seatstays join the frame. Rather than wrapping them directly, the stays stop before they reach the seat tube. Between the stays and seat tube, a damper now resides. This damper offers 15mm of compliance so that the rear end of the frame is constantly active. The frame comes with three dampers-they ride on two bushings that are held in place by two hex-head bolts. You can tune the ride according to your preferences. Staying on board this Teamelite are the BMC Compliance Post, with tuned carbon flex, Fox fork, the BMC carbon flat bars, the BMC stem, DT Swiss XR1501 Spline One wheels, and Continental Race King Performance 29 x 2.2 tires. Comfort, durability, light weight, are all present. And while the wheels come tubed, they also come with all the pieces to convert them to tubeless for better traction on the trail. BMC installed the Shimano XT group on this Teamelite. All the performance of their XTR, incrementally heavier, noticeably less flashy, and easier on the wallet. The XT derailleurs shift the XT chain over a 36/26 double ring combo and 11-40 eleven-speed cassette. The Shadow Plus rear derailleur is nearly invisible to the ground and keeps the chain close and taut while offering crisp shifts. Shimano’s XT brakes are also the stoppers. The levers actuate hydraulic pistons that are ready to stop 160mm rotors that are designed to both shed mud and cool off as they spin. The result is predictable, consistent stopping performance regardless of the conditions. The BMC Teamelite 01 XT Bike powers your legs on a dream-like ride that soars while still grounded in reality. Bontrager Barbegazi, Tubeless Ready, Inner Strength sidewalls, aramid bead, 27.5x4.50"